Alameda County Public Defender Brendon Woods is asking for prosecutors to consider filing criminal charges against two Alameda County deputies who are shown in a video beating a suspect with batons after a high-speed chase from San Leandro to San Francisco. “The surveillance video footage is disgusting and reminds me of Rodney King,” Woods said in a statement, referring to the man beaten by Los Angeles police officers in 1991 in a widely publicized incident that led to the criminal prosecution of the officers because it was captured on video. Woods said he is asking for San Francisco District Attorney George Gascon and California Attorney General Kamala Harris to conduct an investigation into possible criminal charges against the two deputies, whose names haven’t been released, for their alleged actions against 29-year-old Stanislav Petrov. 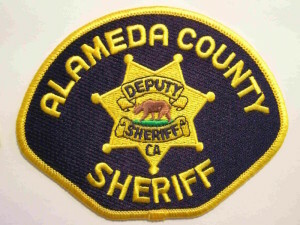 Alameda County sheriff’s spokesman Sgt. Ray Kelly said Sheriff Gregory Ahern put the deputies on paid administrative leave Sunday based on the initial results of an investigation his office launched on Friday when the video was released by the San Francisco Public Defender’s Office. Kelly said the capture and arrest of Petrov in San Francisco’s Mission District shown in the video occurred early Thursday morning after a pursuit that started in unincorporated San Leandro around 1:30 a.m.
Deputies had been patrolling a hotel parking lot in the 17200 block of Foothill Boulevard when they spotted a stolen 2015 Mercedes-Benz C300 sedan, Kelly said. When the deputies approached the vehicle, the suspect, later identified as Petrov, started the car and ignored orders to stop. He allegedly rammed two patrol cars, injuring one deputy and disabling his patrol vehicle, Kelly said. Petrov then led deputies on a chase on Interstate Highway 580 into Oakland and then west toward San Francisco, crossing the Bay Bridge at speeds of more than 100 mph, Kelly said. Petrov exited the freeway in San Francisco, struck a parked car on a city street and fled on foot before he was captured, according to Kelly. When deputies searched the Mercedes-Benz that Petrov had been driving, they found a loaded gun and drugs for sale, Kelly said. Petrov is still at San Francisco General Hospital, where he is being treated for the injuries he suffered in the incident, but Kelly said he couldn’t comment on his condition. “From his elbow through his hands are swollen. It looks like he has several broken bones in both of his hands or arm areas,” Woods said. Woods said Petrov appeared to surrender before being tackled by one of the deputies. 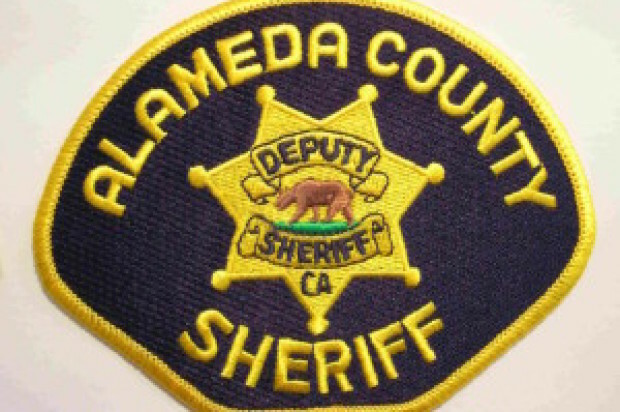 “Those deputies viciously attacked a man who appeared to be surrendering. They beat him with their batons even though he was not resisting. This is clearly excessive force,” Woods said. Woods said he is asking for both deputies’ names to be released to his office it can review other cases that may involve their use of force and credibility. He said he also wants a civil rights investigation by federal authorities and the release of all body camera and car camera footage of the incident. In addition, Woods said he wants an external investigator to review the Alameda County sheriff’s use-of-force training and body camera policies. Woods said Petrov had been hospitalized under guard since Thursday and hadn’t had any contact with legal counsel nor his family until Woods visited Petrov on Sunday. Woods said he worked with the sheriff’s office to facilitate a visit between Petrov and his mother at the hospital later on Sunday. Woods said he expects his office to represent Petrov if charges are filed against him in connection with the vehicle pursuit.